Auckland museum set to host ‘wonders of the world’ - the interactive exhibition made entirely from lego® bricks! Ever dreamed of visiting the Empire State Building, Arc De Triomphe, Big Ben and other world-famous landmarks? Soon it will be Auckland’s turn to experience the wonderful world of Ryan ‘The Brickman’ McNaught’s epic LEGO masterpieces and learn about some of mankind’s most amazing achievements from all over the globe in the fully interactive, educational experience that is Brickman ‘Wonders of the World’. 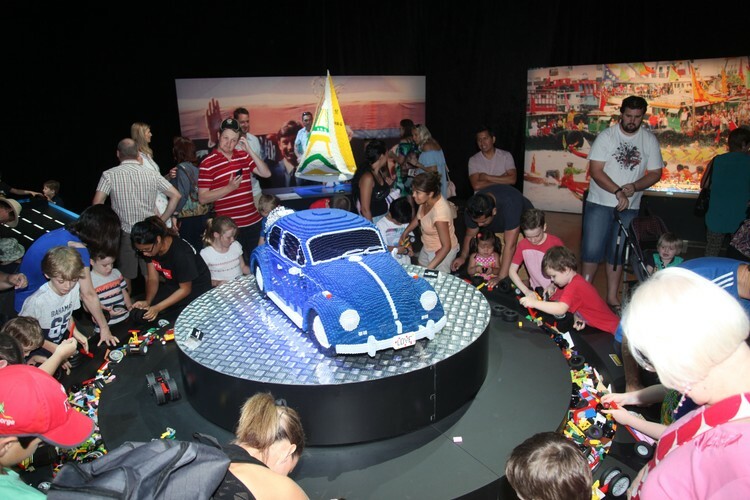 This exceptionally popular event will come to Auckland after wowing Hamilton LEGO fans through March at Claudelands in Hamilton, and following on from a hugely successful two-month run at Te Papa in Wellington, where over 100,000 LEGO lovers visited Brickman ‘Wonders of the World’. Opening at the iconic Auckland Museum on Friday 30th March and running until Sunday 13th May, the exhibition boasts 50 awe-inspiring models on display, taking visitors on a hands-on, educational journey through history. Throughout the exhibition, visitors will have the opportunity to learn along the way and discover more about each attraction – real life and LEGO life. 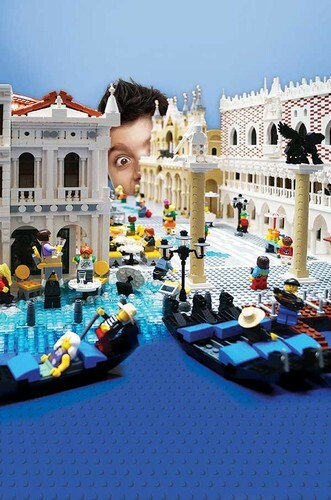 Kids and adults will come face-to-face with LEGO versions of world famous landmarks including a giant LEGO Arc de Triomphe, LEGO Empire State Building with King Kong, LEGO Big Ben, a LEGO Leaning Tower of Pisa and even a LEGO version of Michelangelo’s Statue of David! Ryan McNaught is the only LEGO Certified Professional in the Southern Hemisphere and one of only 14 in the world. Incredibly, ‘Wonders of the World’ took him and his expert Brickman team a jaw-dropping 4,944 hours and over seven tonnes of LEGO bricks to build! “The exhibition is super interactive with lots of activities for LEGO fanatics of all ages to get involved in,” says Ryan. “Brickies will have the chance to build a statue of themselves next to the mighty Statue of David, build cars to drive around the Arc De Triomphe, add their own LEGO fish and coral to our Great Barrier Reef and heaps more. Hopefully all the budding builders in Auckland are up for the challenge!” added Ryan. As well as being immersed amongst the incredible LEGO creations, there will also be a number of hands-on activities to take part in. Ryan will also be enlisting the building skills of the public to help with some of the model making, with little and big kids (LEGO code for adults!) having the chance to show off their building talents in 8 interactive zones, creating a truly interactive and imaginative experience. 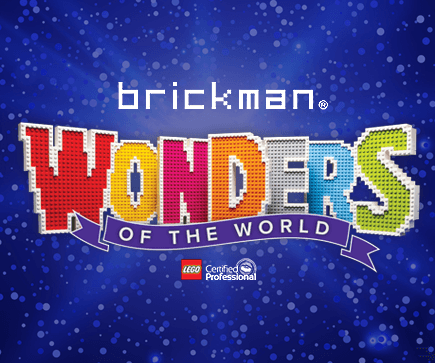 Brickman Wonders of the World will be in Auckland from 30th March until 13th May at Auckland Museum. The Brickman is a team of skilled LEGO artists and craftspeople led by Ryan McNaught, aka “The Brickman”. Ryan is a LEGO Certified Professional, one of only 14 in the world and the only one in the Southern Hemisphere. Ryan and his team have built some of the world’s largest and most detailed LEGO models, and are responsible for building models for LEGO offices around the world. Having produced four touring exhibitions and hundreds of models for museums, galleries and shopping locations globally, the Brickman team have garnered many prestigious awards for their works. Brickman maintain a unique style, which makes their creations some of the best and most recognisable in the world.